My wish is for us to know who owns and controls companies, so that they can no longer be used anonymously against the public good. Let's ignite world opinion, change the law, and together launch a new era of openness in business. Corrupts officials siphoning funds, terrorists buying arms, corporations evading taxes, and organized crime networks laundering money all use the same thing to hide their activities — anonymous companies. These companies are like get-away cars, enabling nefarious actions. Charmian Gooch and her colleagues at Global Witness want to end anonymous companies, by creating a first-of-its kind public registry for company ownership. This requires concerned citizens, business leaders, government officials and so many others working together. By launching a global campaign to increase awareness of this complex and critical issue, Global Witness hopes to catalyze public pressure to change laws all around the world and end the era of anonymity. It will take wide support to create a prototype register for collecting and publishing critical information on who ultimately owns a company. It will serve as a guide for governments — and you can help make it a reality. Email ted@globalwitness.org. Transparency is good for both businesses and consumers. If you own or work in a company -- big or small, publicly listed or privately held -- take part in the conversation and support this wish. Email ted@globalwitness.org to join the movement. Since 2014, Global Witness has helped bring the issue of anonymous companies out of the shadows. 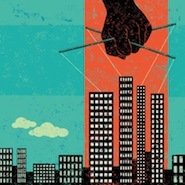 The organization contributed to The New York Times’ Towers of Secrecy series, which led to increased tracking of real estate purchases by shell companies in the US. In an investigation featured on 60 Minutes, Global Witness showed just how easy it is to move questionable funds into the US through corrupt law firms. And in the the wake of the Panama Papers, Global Witness participated in the first-ever global gathering on corruption, the Anti-Corruption Summit 2016, which led to six countries pledging to create registries of who owns and controls companies. But keeping the momentum will be a challenge. Global Witness has joined with other organizations in this space to become a part of Open Ownership, an effort to create a global registry in the public interest.